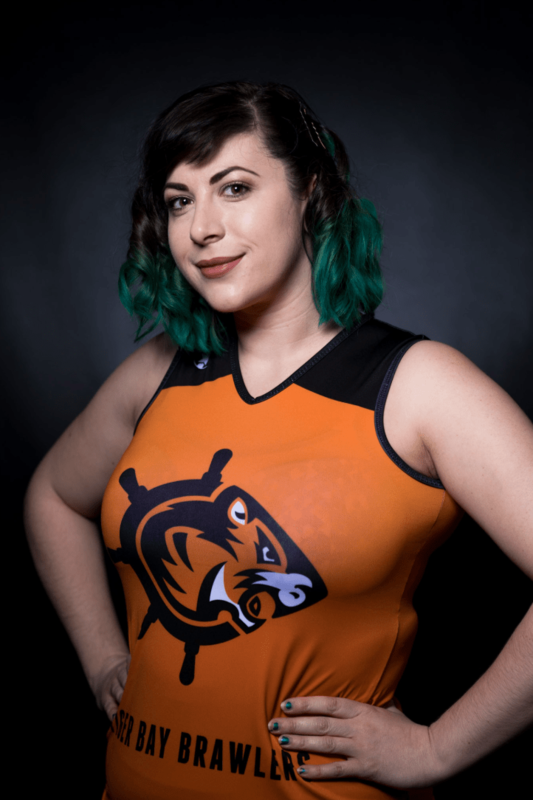 Tiger Bay Brawlers introduce…. Big Jeanie! 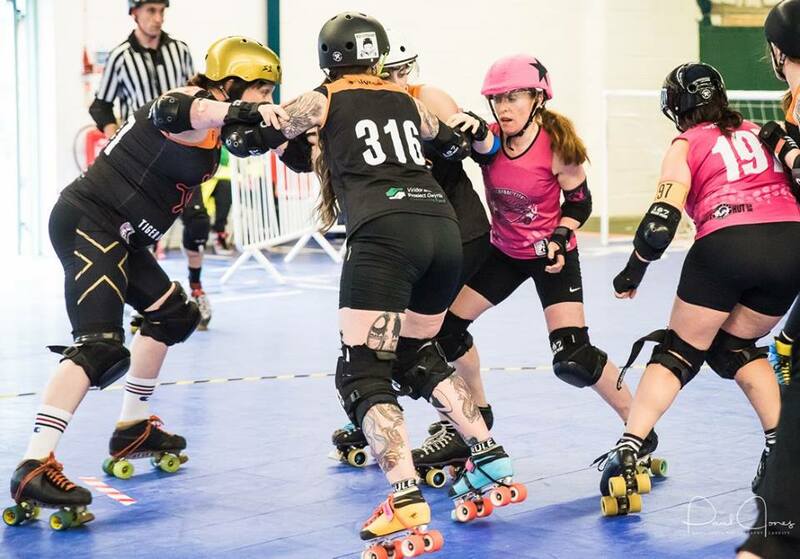 The Tiger Bay Brawlers Roller Derby team are known for their aggressive skating and fierce competitive nature but they were only too happy to show their softer side this week, coming to the assistance of a local Cardiff pensioner. Mrs Jeanette Jenkins reached her 77th birthday in July and the only thing she really wanted was to relive one of her fondest childhood memories and try roller skating one more time. Rather than strap her in to some skates and hope for the best, Mrs Jenkins’ children contacted the Tiger Bay Brawlers in the hope that they could help. The Brawlers were delighted to be involve d and invited Mrs Jenkins along to one of their off-season training sessions at Penarth leisure centre on Sunday. Armed with just a pair of skates and some steely determination, Mrs Jenkins arrived to a wonderfully friendly welcome and was immediately presented with a team shirt, making her truly feel like a roller girl and an honorary Brawler. After kitting herself out in plenty of safety gear, (all kindly supplied by the team) she placed her trust in the hands of two of the best roller derby skaters in Europe, Boba Fettish and Thrill Collins and headed out onto the rink. Showing no signs of trepidation, and with very few wobbles, the septuagenarian soon gained her confidence with the encouraging support of everyone at the practice session, family members and several surprised onlookers. Dozens of exciting laps later the smiling pensioner returned to the sideline, tired but extremely happy; with several members of the squad extremely impressed by her footwork and ability. Whilst she may not be challenging for the position of first team Jammer any time soon, the experience is one which will live long in the memory of the thrilled Mrs Jenkins. Her family were absolutely delighted with the help of the team in making a small dream come true for their Mother. “We couldn’t be happier with the support of the Tiger Bay Brawlers,” said Ange la, her youngest daughter, wiping away tears of laughter and joy. “They have been so enthusiastic and more helpful than we could have hoped for; giving up their practice session, equipment and expertise to make this a really wonderful experience for us all, and, of course, for Mum in particular. “Our family’s grateful thanks go to them all for making this happen”. 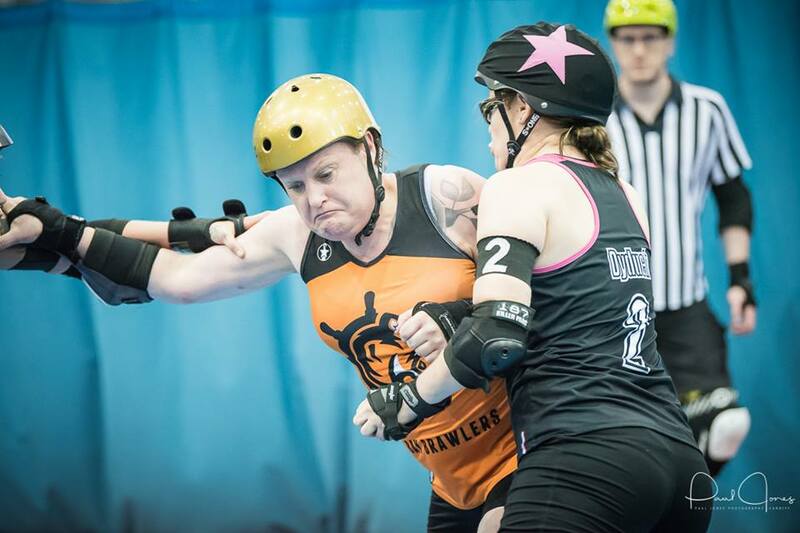 The Brawlers will hope to delight their fans just as much when they start their new season of competitive matches.